The 18-hole Dinosaur Mountain at Gold Canyon Golf Resort in Gold Canyon, Arizona is a resort golf course that opened in 1982. 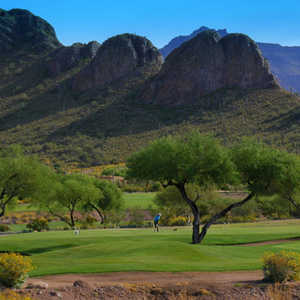 Designed by Ken Kavanaugh, Dinosaur Mountain at Gold Canyon Golf Resort measures 6584 yards from the longest tees and has a slope rating of 140 and a 71. 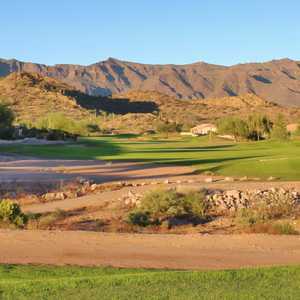 The 18-hole MountainBrook Golf Club in Gold Canyon, Arizona is a semi-private golf course that opened in 1996. Designed by Brian Whitcomb, MountainBrook Golf Club measures 6615 yards from the longest tees and has a slope rating of 124 and a 69.7 USGA rating. The course features 3 sets of tees for different skill levels. 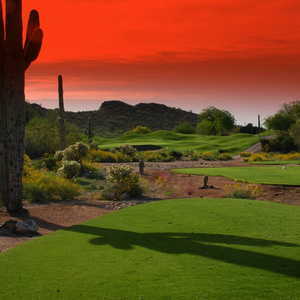 The 18-hole Sidewinder at Gold Canyon Golf Resort in Gold Canyon, Arizona is a resort golf course that opened in 1997. Designed by Ken Kavanaugh, Sidewinder at Gold Canyon Golf Resort measures 6414 yards from the longest tees and has a slope rating of 133 and a 71.